So, as I have been reading listening and talking to others about the state of the Church and Christianity, I am beginning to understand what “deconstructionism” can mean for it. 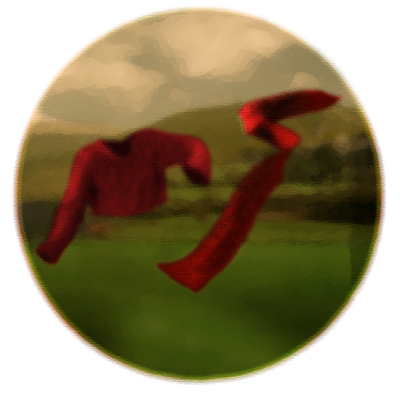 Pete Rollins (author of “How (Not) to Speak of God“) was at a talk that I attended a few months ago, and while he spoke about this (de/constructionism), I imagined a sweater floating above the ground. This is the kind of cable-knit sweater that a grandmother may have made for you because you lived in a cold region and you needed the sweater. Now that you have outgrown the sweater – and in addition, the climate has changed – the old sweater is not as useful to you as it may have been in the recent past. In my mind this sweater is on an invisible form, so you can see into the sweater at the openings of the hands, neck and waist, but where the lower part of the sweater used to be full length, it has begun to unravel into a pile of yarn on the floor below. Surrounding the sweater is a mountain scape as the sun is setting behind the clouds. I imagine that the Church is feeling a bit like this old sweater. Now that the climate of culture is changing around us, the structure of the church is unraveling – in order to take on a new form. 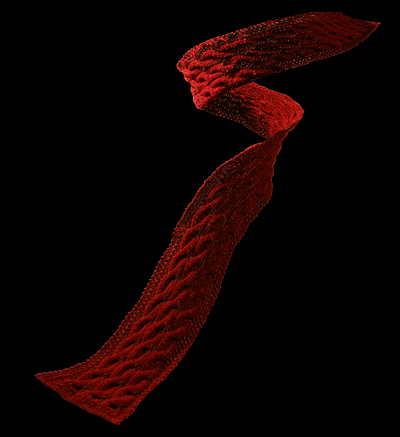 Perhaps it will be re-made into a vest, or a scarf or several pars of socks, but the fact of the matter is – it is changing. Along with it, my faith is being unraveled – in a good way. It is not like I feel that it is invalid, or even being lost, but it is also being changed. The old sweater is one that I have held with high regard and cherished it since it was first given to me. Now that it is unraveling, I look forward to being able to have it made into something new. I do not yet know what it will be, but it will become useful for the time when it is ready. And as for that invisible form that I saw the sweater on… I know that the Body that the sweater once rested on is never-changing, it’s just that it is time for the garment to be up-dated. I really do like this metaphor for the changing state of the church now, in the past, and probably again in the future. I can’t wait to see what image you create to communicate this metaphor.